Gina concentrates her practice in civil litigation defense of wrongful death and bodily injury claims arising from general liability cases including construction and industrial accidents, motor vehicle and tractor-trailer accidents, premises liability, and fires, as well as employment, professional liability and product liability. 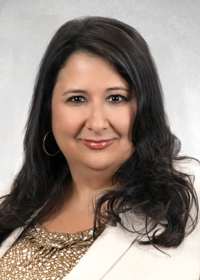 She also practices family law, landlord/tenant law and criminal defense. Gina was recognized as a Pennsylvania Super Lawyer Rising Star from 2010-2015 and a Pennsylvania Super Laywer from 2016-2018. She also serves on the Allegheny County Bar Association Civil Litigation Council and is Secretary of the Western Pennsylvania Division of the Claims and Litigation Management Alliance. She chairs the firm’s Criminal Law section. Gina is an active supporter of the Magee Institute and Research Foundation, which supports the Neonatal Intensive Care Unit of Magee Womens Hospital and serves as a Vice President of Project Sweet Peas, a national non-profit organization coordinated by volunteers, who through personal experience have become passionate about providing support to families of premature or sick infants and to those who have been affected by pregnancy and infant loss.